This package crossed an ocean to reach me. 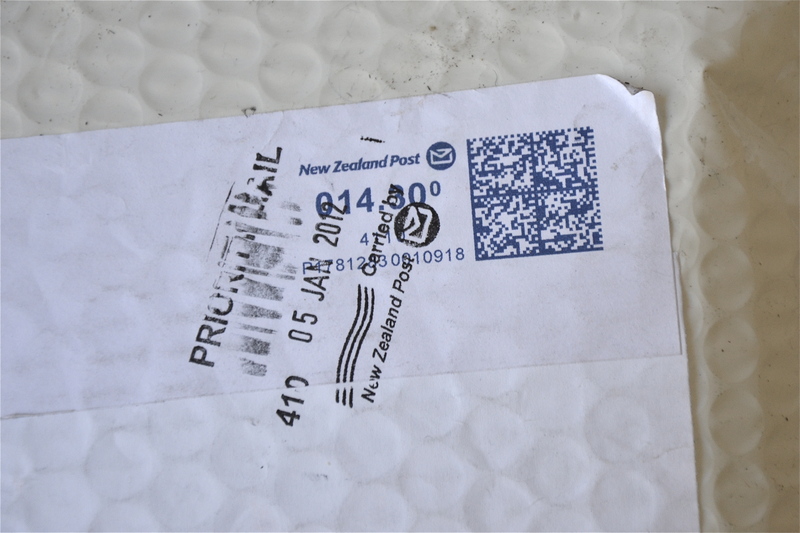 As you can note by the postmark, this has been sitting in my queue for some time. This thick yarn is designed by Nikki Gabriel and produced from recycled fabric remnants. 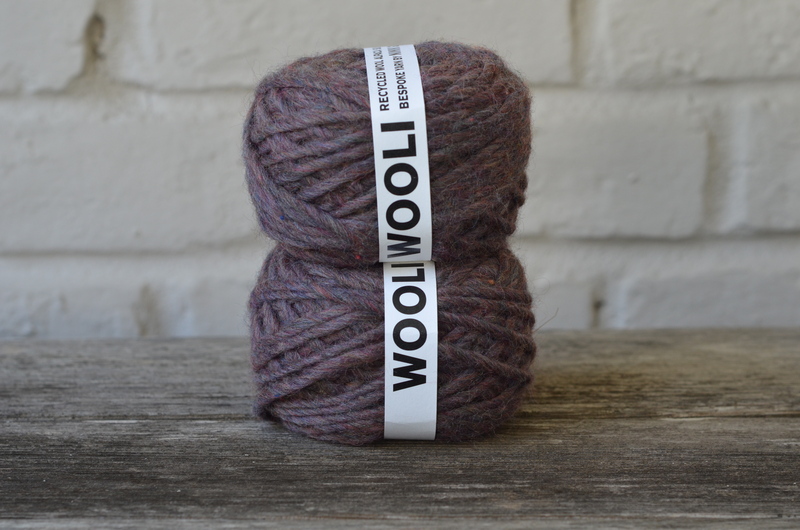 The fiber contents include wool, alpaca, silk, cashmere and possum. The raw fibers produce this color which she calls Greige. Other dyed colors are also available. Then there are these sturdy needles handmade from recycled Rimu wood, which is a tree native to New Zealand. I like the concept of naming them “construction” tools. 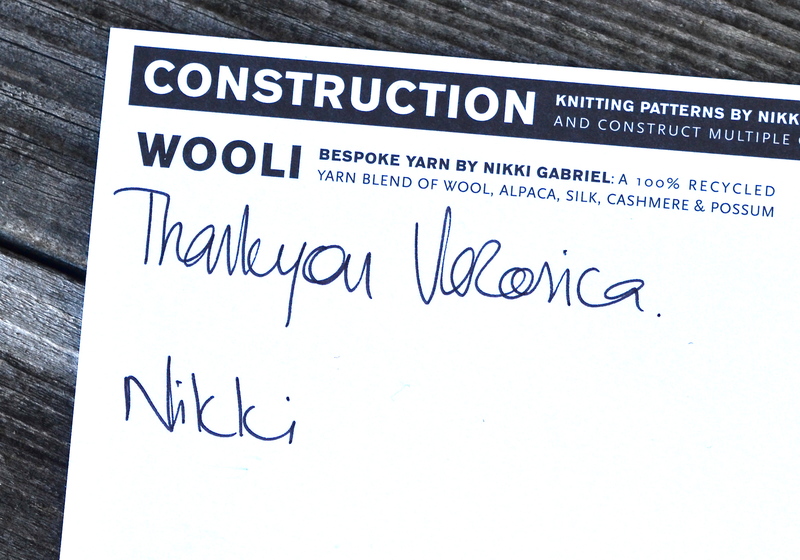 I even got this nice thank you note from Nikki Gabriel herself. 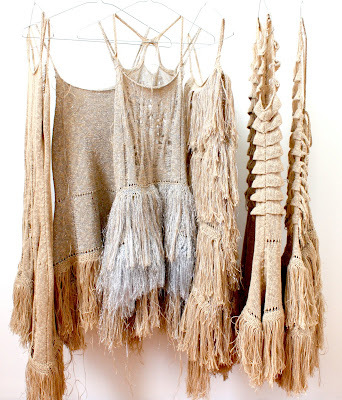 In addition to creating yarn and needles, she is also a knitwear designer. She designed these beautiful flowing costumes for a performance of The Australian Ballet. I would like to visit New Zealand some day and go to her shop, Gather, in Napier. In the meantime, I am content with reading her blog. Another thing to put on my bucket list! New Zealand? If you go, I want to see pictures! I was so excited to open a package that had travelled so far. It was nice that it came with the thank you note. I think one of the coolest things about reading blogs is when the author of a blog you already like recommends another blog that they like. Sometimes it sends you in a different direction, but one that you like too. Thanks for the recommendation! Glad to pass it along. So, yes, thanks for the recommendation! I am a bit jealous … touch some yarn for me! Will do 😉 But I dare say you have loads of rare and wonderful yarns in the US, too! 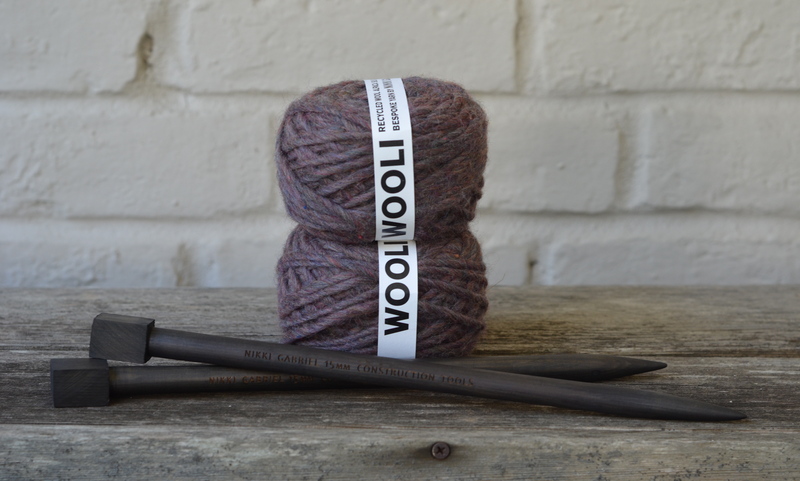 I think I am having a needles and yarn crush! Yummy!! I know what you mean. I kept going back to her website and looking at it and finally decided I had to see it for myself. Let me know what you think when you get it. wonderful yarn! waiting to see the results! I will be sure to post. Must decide what to make first. Probably a scarf since I only bought two balls. I really like the texture of it. It has sort of a tweed look to it. I thought the name was appropriate too. Beautiful and I love the construction tools. The chunky needles are great. I haven’t found a pattern yet but it’s on my to do list. What are you going to make with those humongous needles? I’m in search of a pattern. Any ideas? I have come to find that chunky needles are perfect for a cowl. And you don’t even have to do it in the round, you can knit it flat and then sew the ends together or even twist it and make a mobius. 🙂 good luck! I’ve never heard of yarn being made out of possum but that is way cool. (Pardon my elementary diction) I think Construction Tools is a good name, after all don’t knitters construct garmets? Absolutely. If you go to her website, she also has patterns that she calls “constructions.” Great concept! Those costumes have the WoW factor! and the wool is a lovely colour, very Autumnal. There are more great pics of the costumes on her blog. Check it out! I will look for it. Pretty pictures of yarn are always welcome! Rose is soooo cute. What gorgeous yarn and needles! I love the way they go so well together too, in a cozy autumnal way. I can see that yarn as a chunky hat for colder weather.. Looking forward to seeing what you make. I have a business trip coming up and will spend lots of down time on a plane and at the airport. This is the perfect project to take with me. My friend is a NZ designer and when we lived together in Milan she would always ask her mom to send her that yarn! I’m knitting a hat with it now. I love the texture. I’m glad that the yarn you used has held so well. I did knit a chunky hat with the yarn. I only bought two balls of it and was afraid to get more ambitious and run out of yarn. I’d love to go to her yarn shop so perhaps you can stop by for both of us! If you ever find yourself in New Zealand and you are in the South Island let us know over at Working by Torchlight and we will take you around some woolsheds. So you can see where New Zealand wool comes from.